While the number of women in elected office across the country has been slowly increasing, in 2017, they made up only 21 percent and 19.6 percent of the U.S. Senate and House of Representatives, respectively. At lower levels of government, the numbers aren’t much better: women currently hold a mere 25 percent of state legislature seats and only 22 of America’s 100 largest cities have female mayors. But incremental gains could soon give way to much larger ones. In the 10 months leading up to the 2016 presidential election, 1,000 women contacted Emily’s List, a political organization dedicated to electing women, to inquire about running for office. And in the year following the election, more than 22,000 women did the same. In Virginia’s November election, 11 of the 15 seats that Democrats picked up in the statehouse were flipped by female candidates. Both major political parties have emphasized recruiting female candidates heading into the 2018 midterm elections. 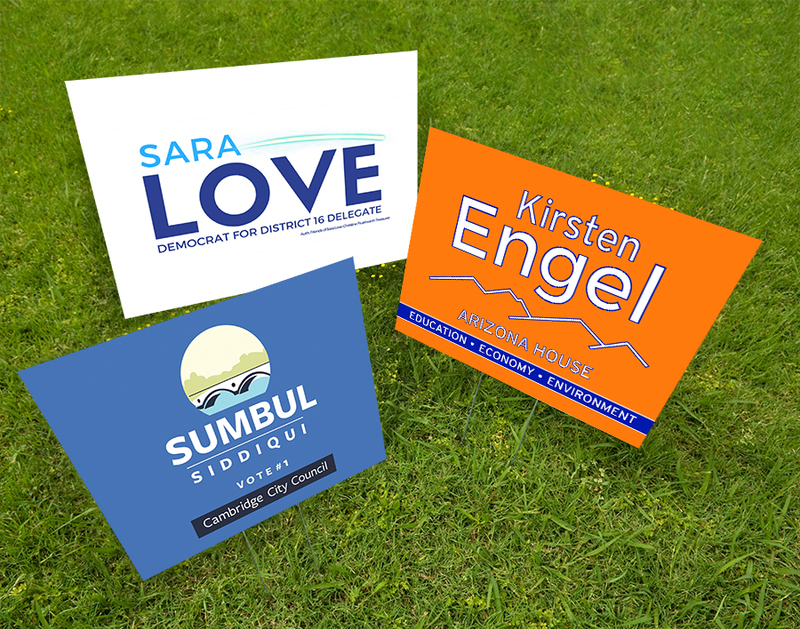 The Reporter spoke with three Northwestern Law alumnae — two Democrats, and one non-partisan (to our knowledge, there are no Republican alumnae currently in office or running) — who have recently joined the thousands of women across the country seeking public office. In November 2017, at 29 years old, she became the first Muslim woman elected to the position. Siddiqui, who grew up in Cambridge public housing, had long thought about how she could make the city work better for more people. Siddiqui decided to run in December 2016, and participated in Emerge America, a six-month training program aimed at increasing the number of progressive women leaders from diverse backgrounds in public office. 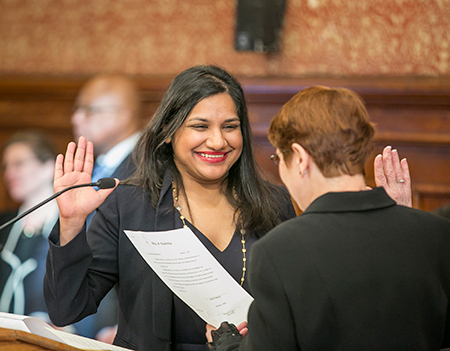 Siddiqui’s interest in public service never faltered — not during her undergraduate years at Brown University, or during her time as an AmeriCorps fellow, or as a student at Northwestern Law. In 2011, she took Professor Len Rubinowitz’s public interest practicum, where she worked for the Lawyers’ Committee for Civil Rights on an economic development project partnering with law firms. She also took Professors Esther Barron and Steve Reed’s Entrepreneurship Law Clinic, an experience she says helped her post-Law School career at Northeast Legal Aid, where she provided transactional legal services to low-income individuals. “Those two experiences really shaped my desire to work for the public good,” she says. On November 7, Siddiqui received the second-highest number of first-choice votes among all candidates in the city’s ranked voting system, easily becoming one of the nine councilors from a pool of 26 candidates. She was sworn in on January 1. 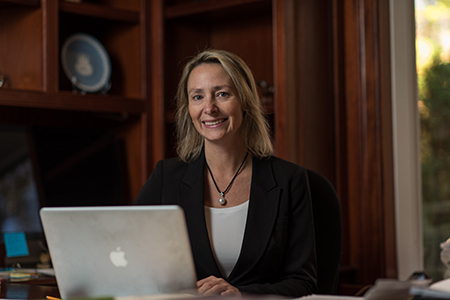 “When I was seven, I announced to my mother that when I grew up I wanted to help people, and I was going to become a lawyer, and I was going to run for office,” says Sara Love (JD ’93). Love, who is currently running to represent Maryland’s 16th district in its House of Delegates, has made good on that promise. Kirsten Engel (JD ’86) was motivated to run for the Arizona House of Representatives in 2016 by two major issues: education and the environment. Engel, a Democrat, won her seat in 2016 and has now spent over a year serving as a state representative for the 10th district — she still teaches, too, while the legislature is out of session. 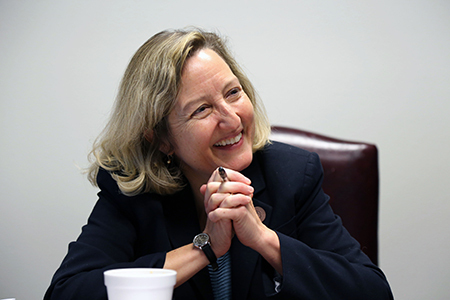 One of the few lawmakers with a JD, she serves on the judiciary committee as well as the environmental committee. Engel, a member of the minority party, is proud of the “small incremental accomplishments” she and her colleagues made in her first year and looks forward to the day she gets to do even more. In August, she announced she’d be running for reelection in 2018. “I think things are changing in Arizona. I think in 2018 they’ll probably be very different, so it’s exciting to be serving at this time,” she says.